It’s official: Privacy in the ‘technology age’ is officially dead, and it’s not very likely that genie can be put back into the bottle. You may have noticed that “voice recognition” technology is all the rage these days, featured in a range of new consumer products that are part of the “Internet of things.” Devices like Amazon’s “Echo” are designed to listen for the sound of your voice and respond to it. Google devices have been recording the sound of your voice for years, as the U.K.’s Independent reported in February. Samsung has issued a warning to owners of its Internet-connected “smart TV” — anything they say while sitting in the vicinity of the device could be overheard. 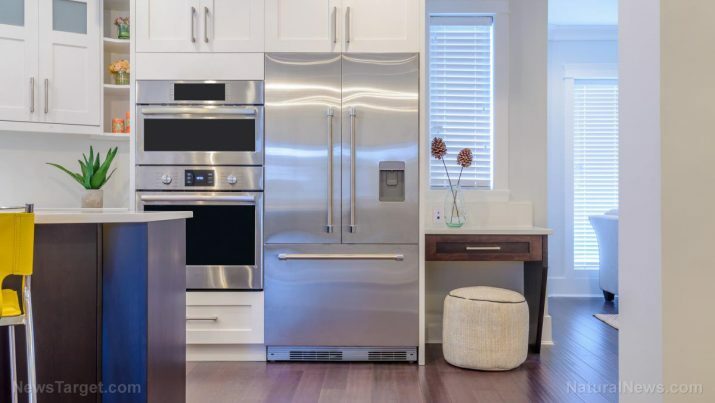 Now, it seems, as noted by Webwire, Samsung is introducing expanded voice recognition technology to other products it makes, including refrigerators. The company said its enhanced voice recognition technology will be included in Family Hub refrigerators being shipped to the European market beginning sometime later this year. The company said it has already included “cloud-based” voice recognition features in Family Hub products sold in Korea and the United States. In addition to touch command, the Family Hub’s voice capabilities provide a new way to interact with the refrigerator. Users can ask for the time and weather updates, search the internet, read news articles, play music and radio, add items to their shopping list, and even view inside of the refrigerator without opening the door. The notion that these devices can spy on you isn’t far-fetched conspiracy theory. In fact, it’s a widely shared concern among technology and privacy experts. That includes baby monitors, TV set-up boxes, and other devices, even those that are supposedly set up to protect privacy. Much of the spying can be directly related to commerce. “ISPs are in the most powerful position in terms of having data that they could sell on,” said Brent Mittelstadt at the Oxford Internet Institute in the U.K.
And in the U.S. at least, ISPs are permitted to collect and then sell user metadata, which of course contains histories of users’ Internet surfing habits. If it’s not companies and their products spying on us, it’s our own government — that includes the CIA, which began to anticipate the widespread growth of the Internet of Things some years ago and the eavesdropping ‘opportunities’ such Internet-connected devices would bring.